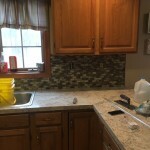 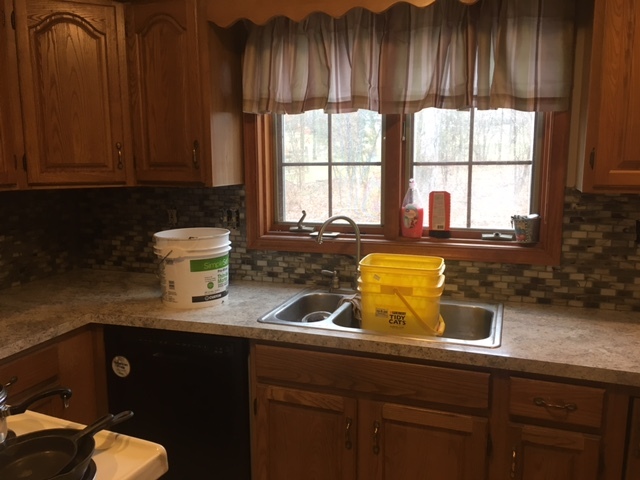 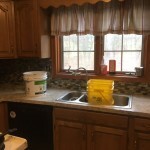 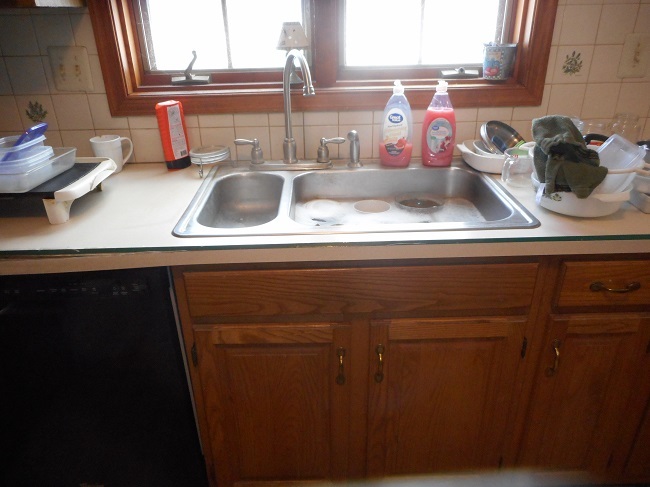 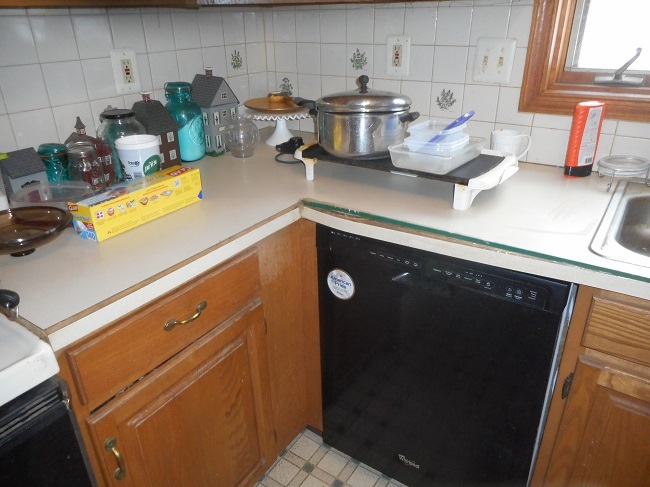 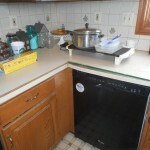 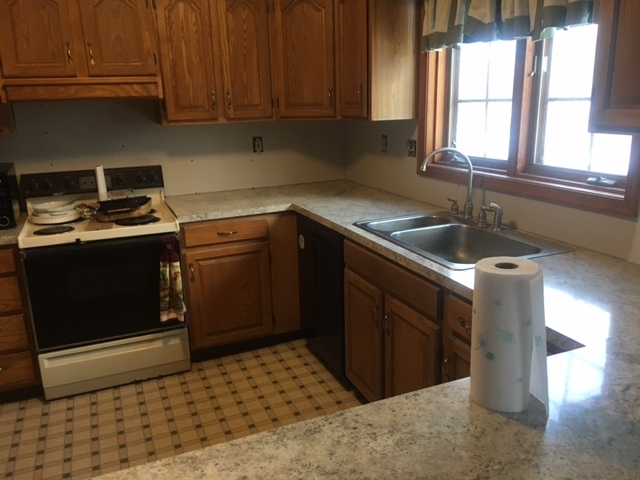 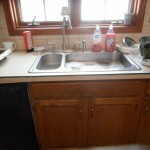 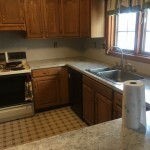 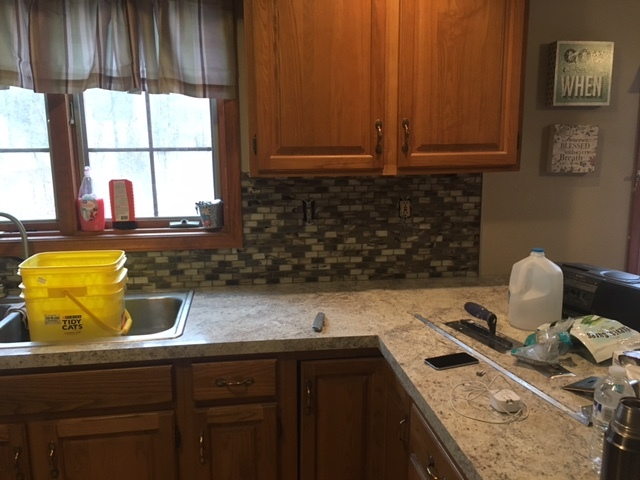 Kitchen Water Damage Restoration Complete! 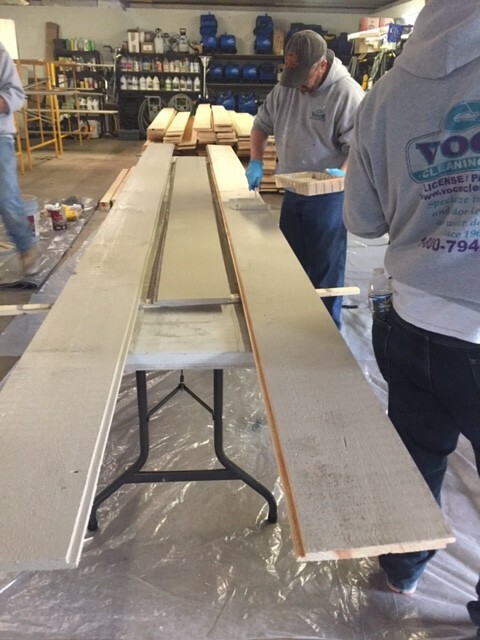 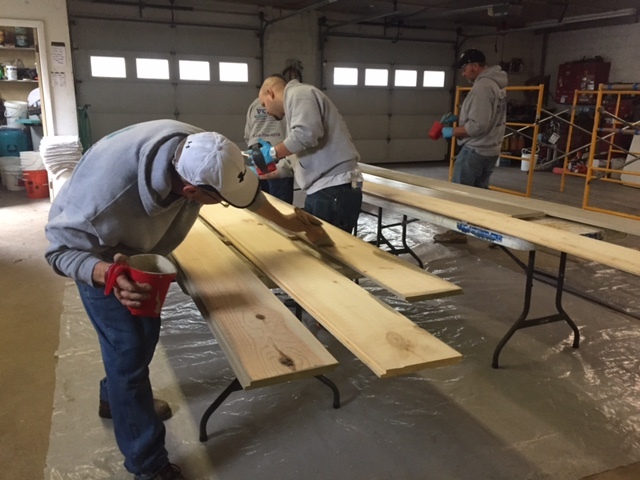 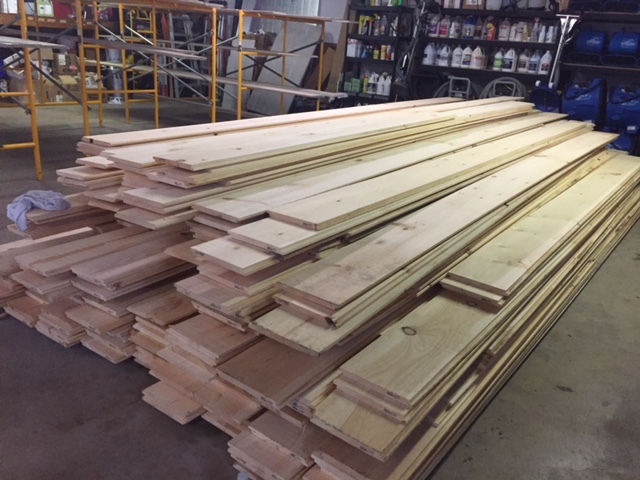 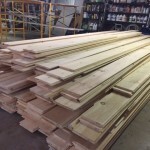 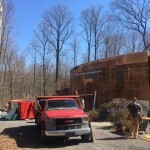 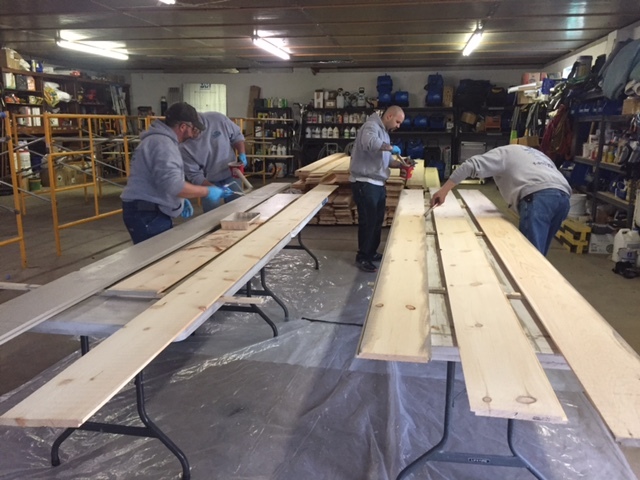 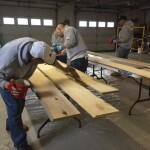 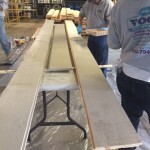 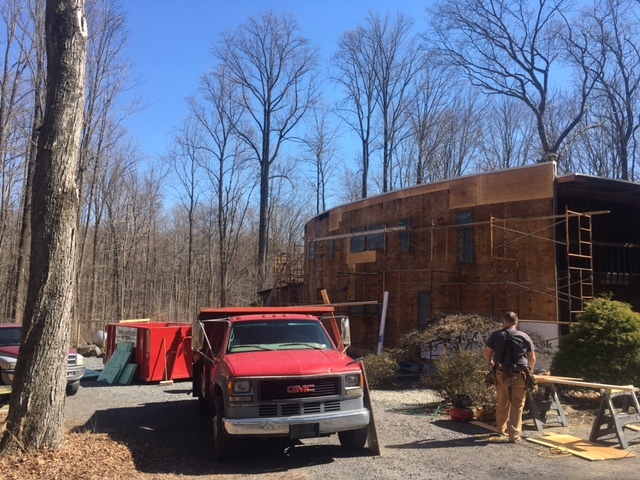 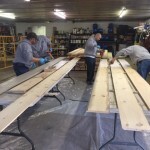 The guys are working hard to get these pine boards stained for this huge siding project! 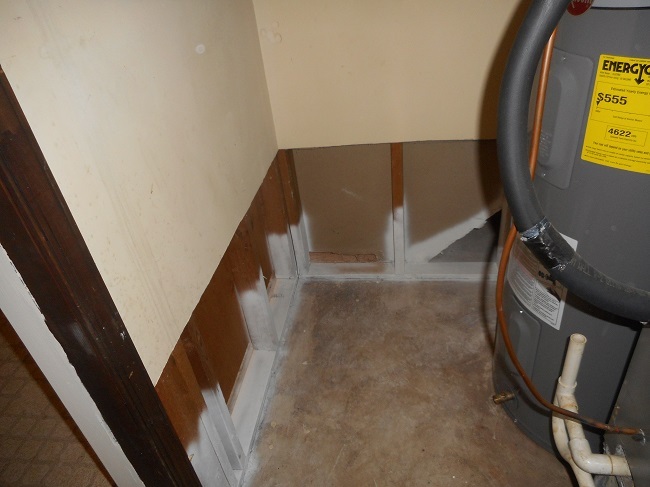 This particular job had the hot water heater sprung a leak and was not detected right away. 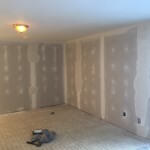 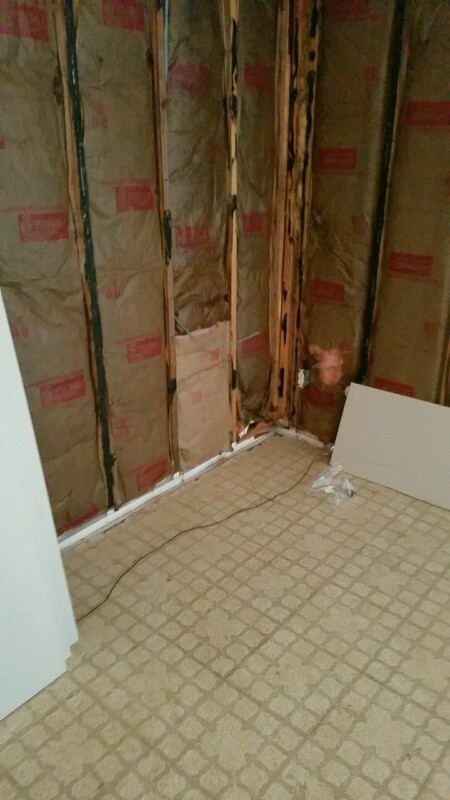 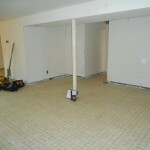 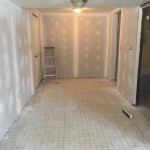 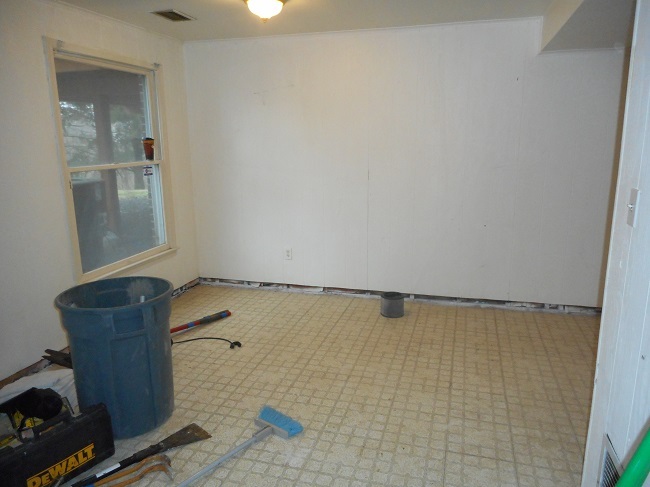 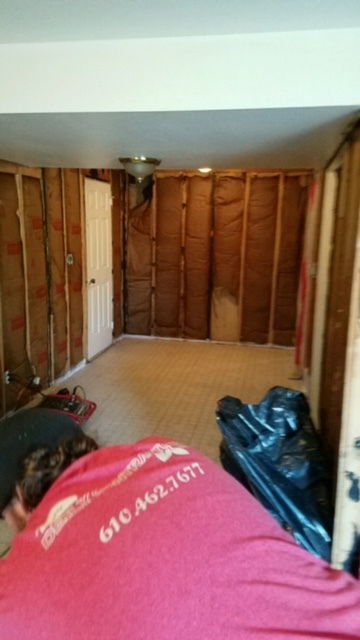 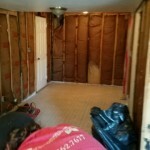 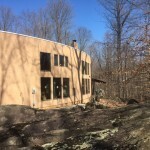 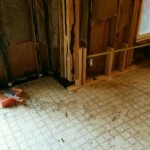 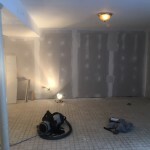 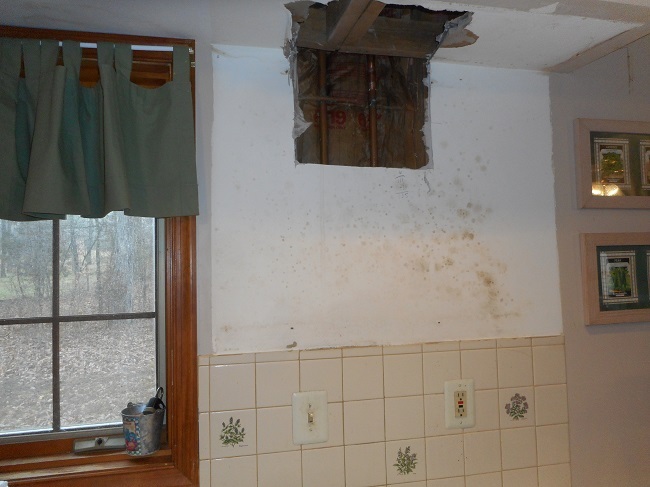 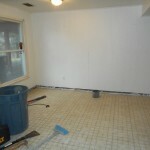 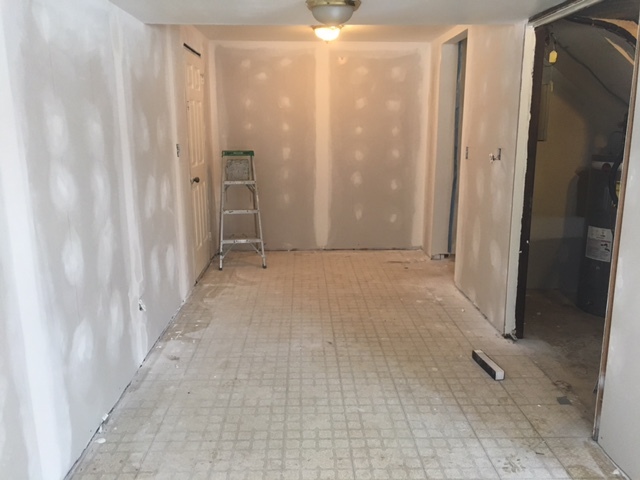 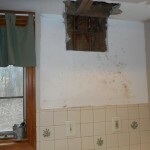 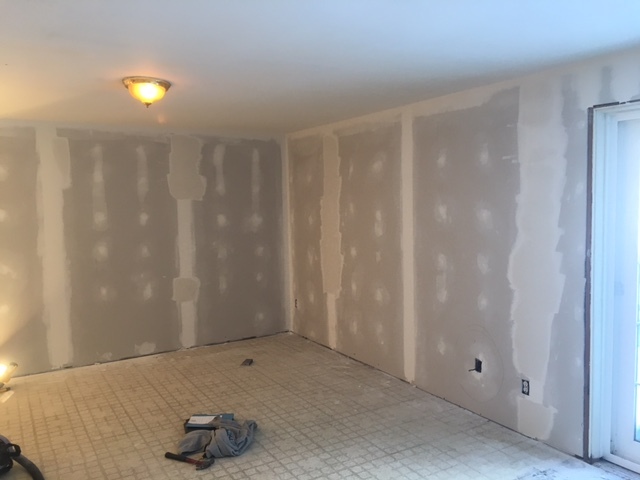 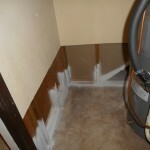 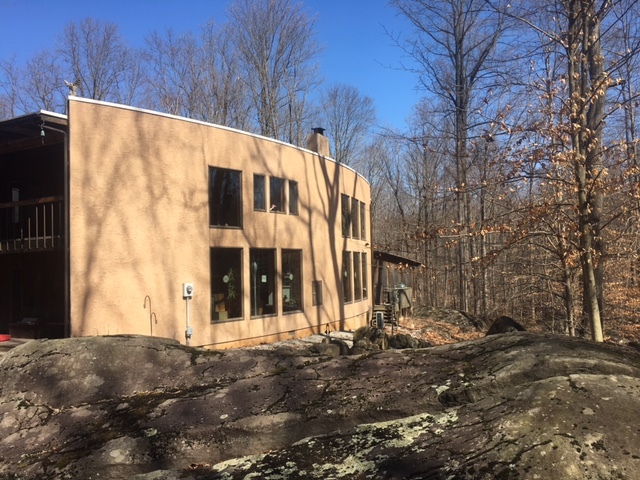 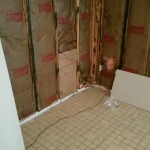 Mold began to form quickly and we were called in to do the dry-out and mold remediation. 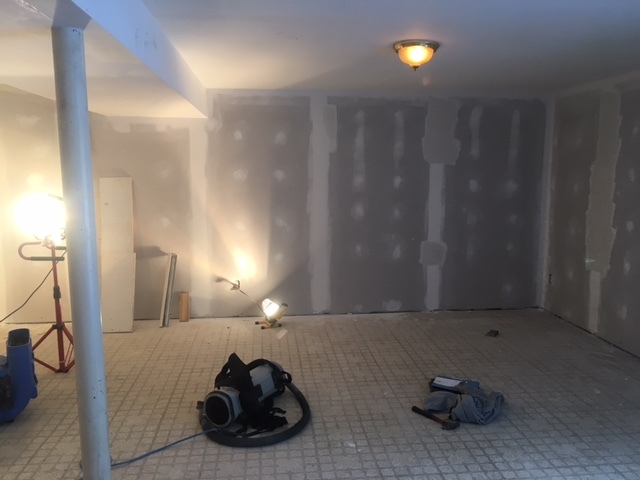 That process has been completed and now the construction phase has started!